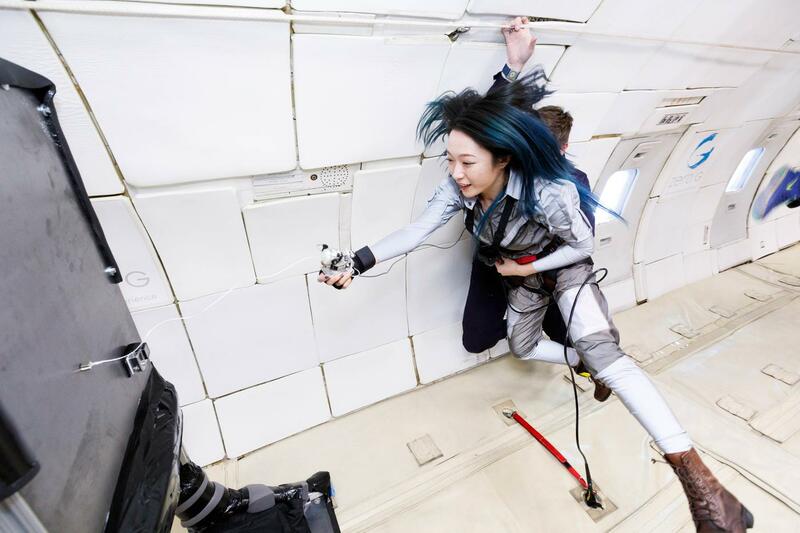 The Orbit Weaver Suit for zero gravity was designed by Media Lab Director's Fellow Andrea Lauer in collaboration with Xin Liu. 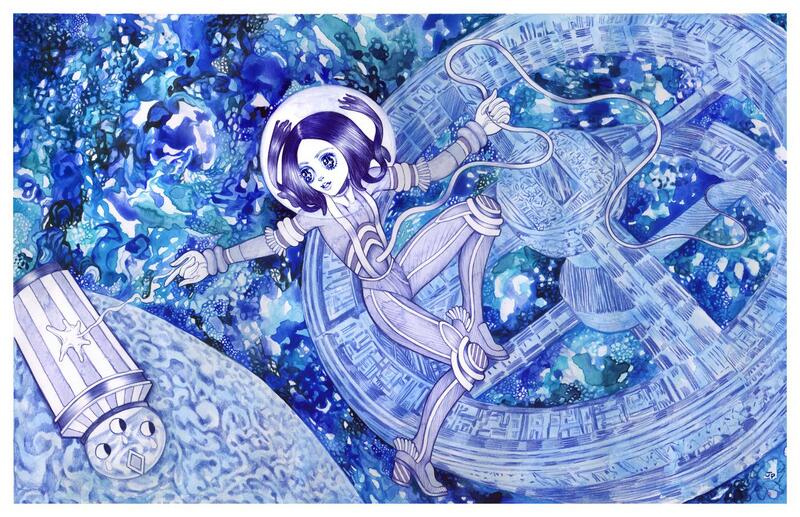 The design was inspired by a drawing Jordan Piantedosi made for Xin Liu, in which she is in a suit and casting strings out into space. 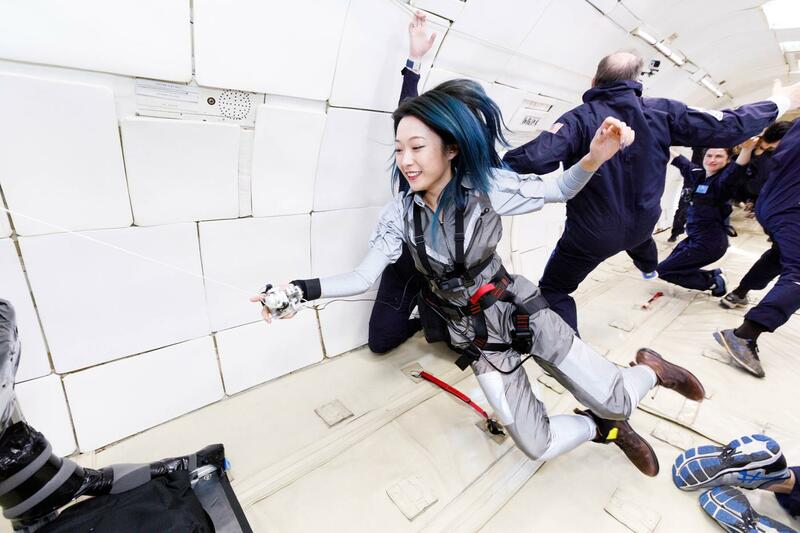 The drawing is a reference to Orbit Weaver, a performance piece Xin created to test in a zero-gravity environment in November 2017. "We met a month ago. Xin came last Friday to my studio in which I designed and draped a new design on her body by using existing pieces that I had in my studio. A slightly unconventional method but it seemed perfect for us. I sculpted the fabric on her body and translated it into a pattern. 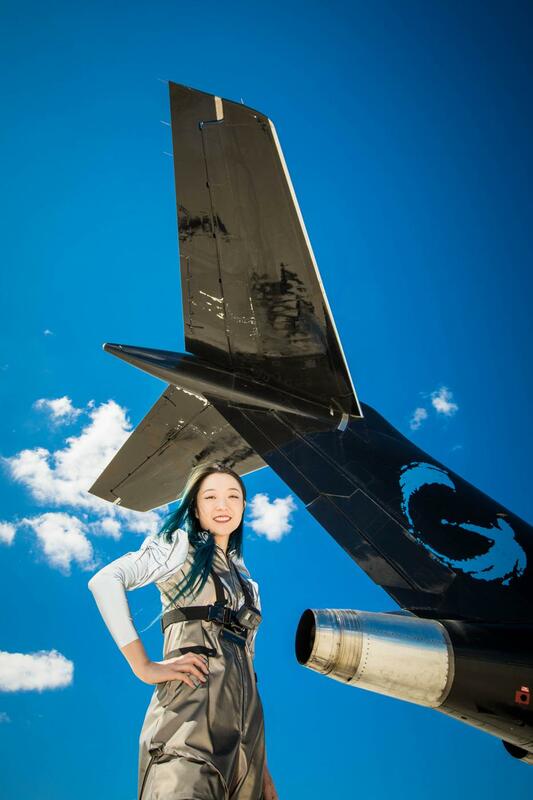 In the making of the garment, I continued to add details until I felt I struck the right balance." Xin Liu and Andrea Lauer work in Andrea's studio. Since the apparatus is the feature of the performance, we wanted to make sure the look of the suit was cohesive with the orbit weaver device, sharing the same look, and feel. 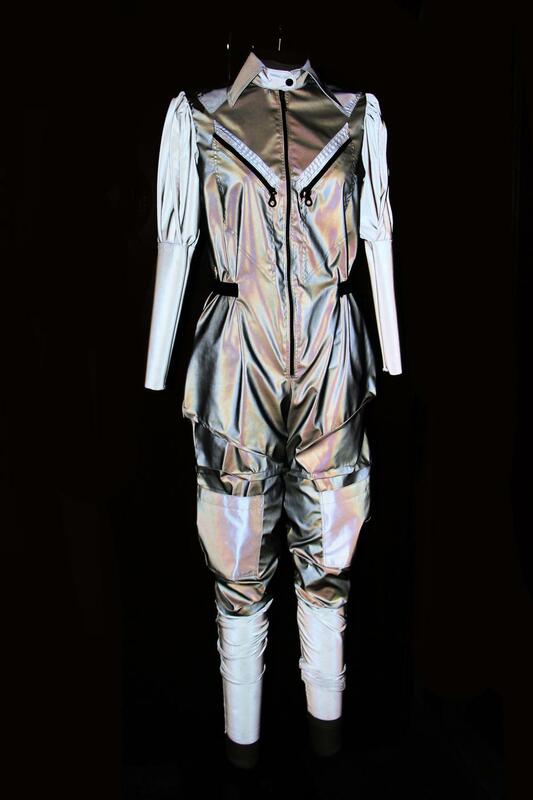 We chose the 3M reflective fabric because when it is photographed with a flash, the fabric makes the space around you disappear..... We imagine we are in space!